For some reason, summertime always ends up being clean-out time in my life. None of this spring or fall cleaning business. Summer rolls around and I get the instinct to reset my environment, sort through the junk and piles–at least partially. 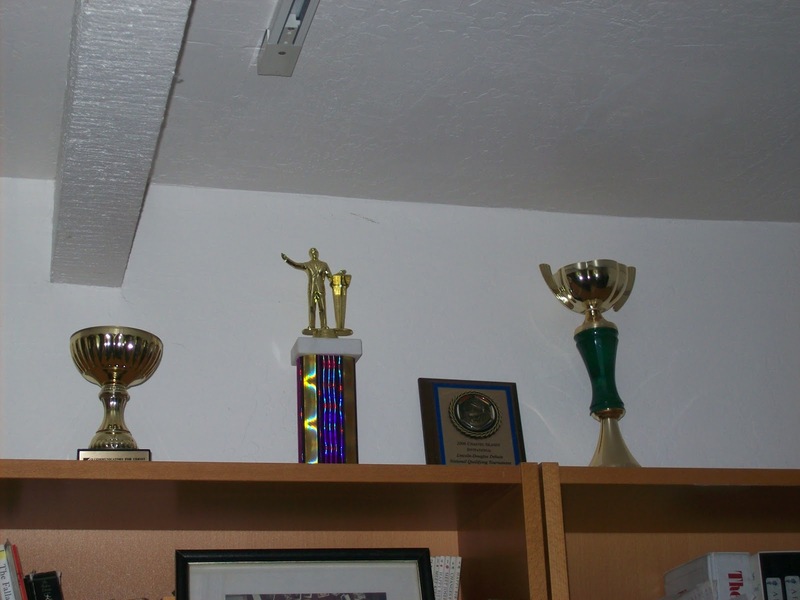 But there’s one collection of things that I recently found was much easier to throw out than I thought it would be: my high school speech and debate trophies. My mom, eyeing them gathering dust on the shelf, coolly suggested that I look through them. In under ten minutes, most of them had ended up in a cardboard box headed for the garbage. I was surprised to feel so little attachment. At those weekend-long speech and debate tournaments, we students lost sleep, skipped meals, battled nerves, developed grudges, and drove hundreds of miles to turn our countless hours of practice into one of these trophies. Shiny affirmations of our excellence, they brought fifteen delicious minutes of fame in front of cheering friends and flashing cameras, plus bragging rights. Six-plus years later, I didn’t remember where most of these trophies came from. When I hustled them off the shelf, they looked just like what they were: plastic and dust. I actually laughed a little at how nervous I used to be, hoping to make it to semifinals, finals, the awards platform. I was suddenly really, really glad that I spent my time in high school working for other things as well: public speaking skills, the practice of giving glory to God, strong friendships. These things remain useful and valuable to me almost every day of my adult life. Of course, I did keep a few trophies–a few pieces of plastic that reminded me of special moments. A First Speaker award from a debate tournament where all the other competitors were pre-law-school boys. A cup from the national tournament where I dragged my giant portfolio of visual aids onto the airplane as my carry-on. A first place trophy from my 18th birthday, where an auditorium full of people surprised me by singing Happy Birthday to me on the awards platform. 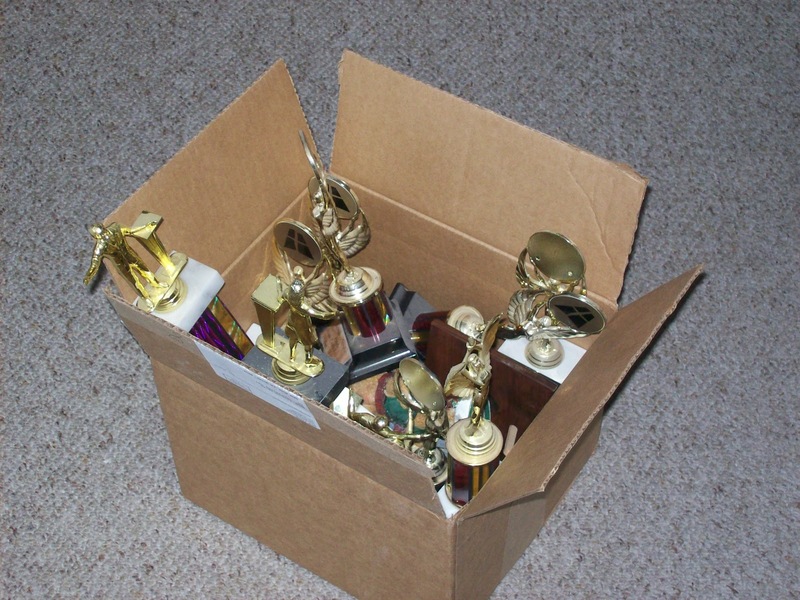 But I kept them because they’re memories, not because they’re trophies. Anyway, my room still looks like a mess, so I’m signing out. Throwing out trophies just reminded me how much I want to spend my time now working for things that will last, that will still matter even when all the microcosmic stress and work is done. YAY! Then all those hours driving, praying, NOT sleeping, praying more, and eating fast food were hours well spent on things that ‘moth and rust’ do not destroy…Congratulations on this milestone! Good connection to the “moth and rust” passage 🙂 Thanks for the prompt! Wow, you? Messy?! That thought defies analysis. 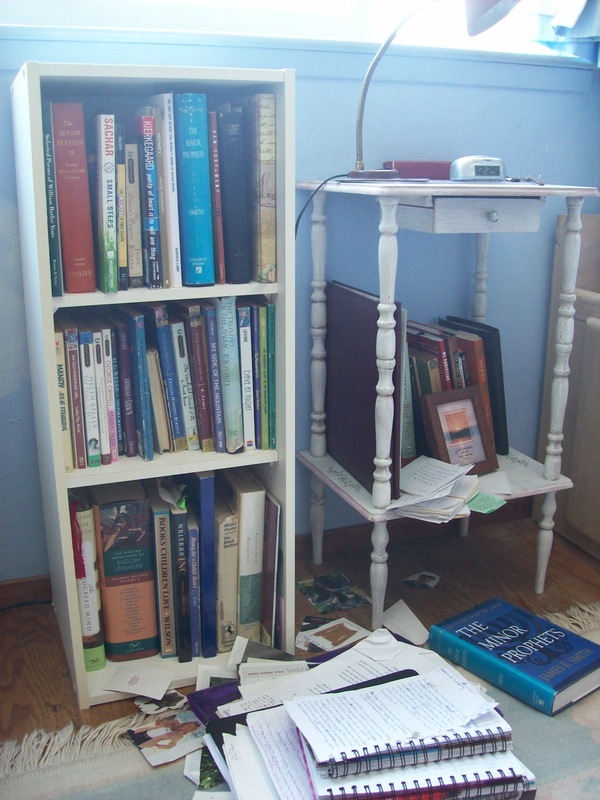 I’d actually like to take a look at your tutoring worksheets…though they may add to my mess, you never know when one will just fit the bill for a particular student 🙂 Good luck with the hall closet! God bless you, Alina. It was such a pleasure sharing that journey with you for so many years. I am glad that you hold the best sense of accomplishment in your heart and soul.